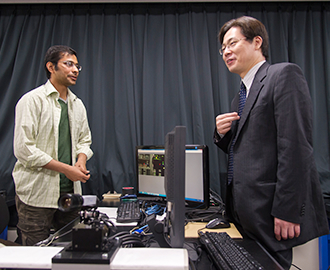 Professor Ishii’s research is centered on the creation of high-speed robotic eyes. These are eyes that are able to perceive phenomena that cannot be seen by the human eye. Indeed, they not only see such phenomena but are also capable of instantaneously photographing them and processing the information, thus acting as a sensor. This is technological development with a very wide range of potential applications. “This technology is ‘hyper-human’ – in other words, it can do things that cannot be done by human beings, and therefore has a huge social impact. In just the same way as the steam locomotive of the Industrial Revolution or computers in the 20th century, hyper-human technology has changed society. In our research we are also aiming to create groundbreaking technology that will have a social impact” says Professor Ishii. On the other hand, Professor Ishii says that currently people do not have a proper understanding of what high-speed vision technology, the ‘fast robot eye’, is good for. 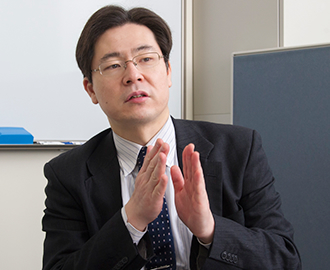 In TAOYAKA Program, Professor Ishii is directing his education and research to the use of high-speed robot eyes mainly to view outfield objects. Recent focus is on the application of such technology to the monitoring of constructions, where high-speed robot eyes are likely to be useful in inspections of public constructions where aging is an issue, such as roads and bridges. “For example, some defective buildings may look good externally, but buildings that will collapse if tilted usually sway in an unusual way. I think that this is an area where high-speed vision technology can be applied, to perceive vibrations that are extremely difficult to see with the human eye”. Public infrastructure is not the only target for such technology – cultural assets are included as well. In both cases, the issues in developing nations are even more serious than in Japan. “We want to use this high-speed vision technology to make a contribution to the creation of safe communities where people can live with peace of mind. And I’ll be very happy if, through this program, we can demonstrate the areas where high-speed vision technology can be of use”. 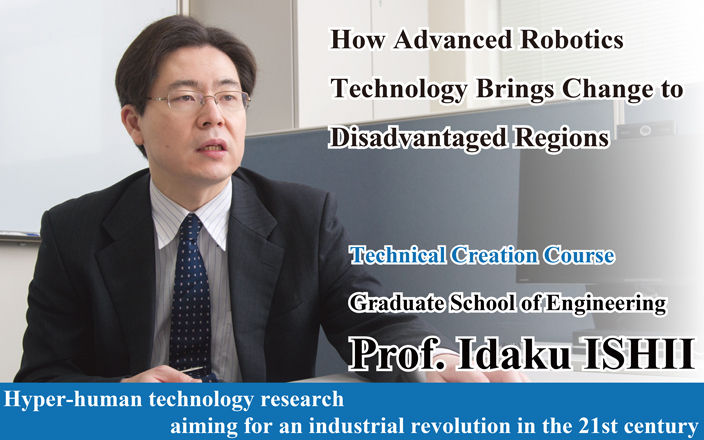 Professor Ishii says that in order to do so, the advanced technology will need to be converted to applied technology. “Rather than keeping advanced technology as it is, I think that a major challenge is to fully utilize that technology in practical areas. This is what I want to teach students through TAOYAKA Program”. 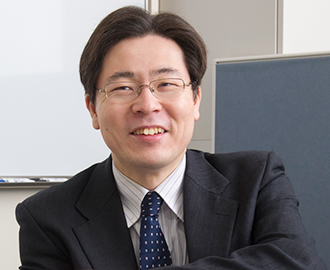 Professor Ishii is also the leader of the Technical Creation Course. He says that he feels particularly strongly about this program. “In TAOYAKA Program, I am hoping that our focus on onsite activities will lead to the discovery of new advanced technologies. Many students think that advanced technology exists only in developed nations, but in actual fact, advanced technology is born in areas where there are problems. Which means that advanced technology does not appear in clean places”. ‘Onsite’ here refers to disadvantaged areas – in other words, places that have the potential to become the big markets of the future. “In a way, I want the students to develop a spirit of survival, so that they can learn how to live in a world that is not ideal”. This Onsite Education, where students learn onsite, is one of the major features of the program. “Ultimately, students from each of the three courses form teams and work together. For this collaboration to proceed effectively, the students need to have something to offer to each other. Not just knowledge – it could be something more emotional, like a sense of comfort. We are looking for students who are fully capable of participating in this kind of give-and-take exchange. It is also important to remove all the barriers between the respective fields to enable discussions among the students in the different fields. In particular, I want the students in the technical field to gain proper onsite knowledge”. Professor Ishii speaks passionately of his ambitions for the program. 2007 – present Professor, Hiroshima University, Graduate School of Engineering. 2003 – 2007 Associate Professor, Hiroshima University, Graduated School of Engineering. 2002 – 2003 Associate Professor, Tokyo University of Agriculture and Technology, Faculty of Engineering. 2000 – 2002 Lecturer, Tokyo University of Agriculture and Technology, Faculty of Engineering. 1996 – 2000 Research Associate, The University of Tokyo, Graduated School of Engineering.